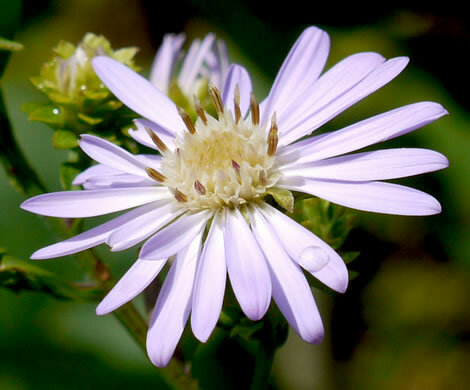 13-30 blue to purple rays Disc florets cream to pale yellow becoming pinkish, per Flora of North America. 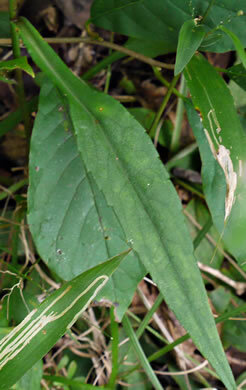 Leaf margins serrulate or entire, per Flora of North America. 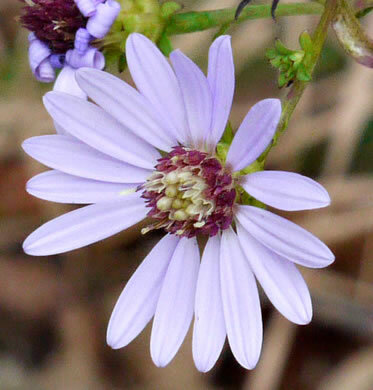 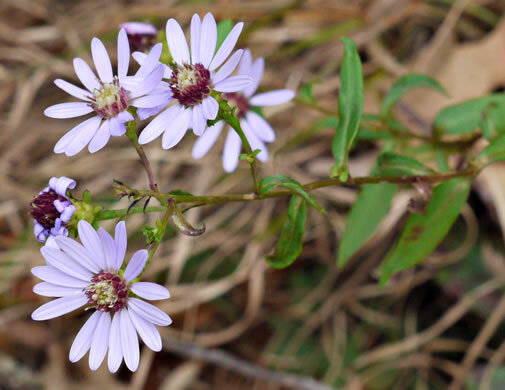 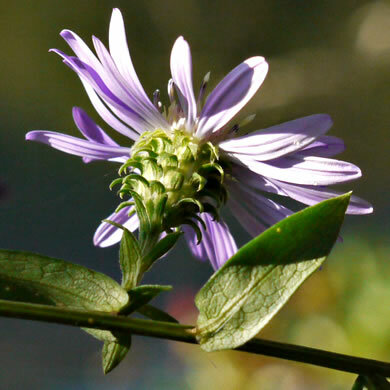 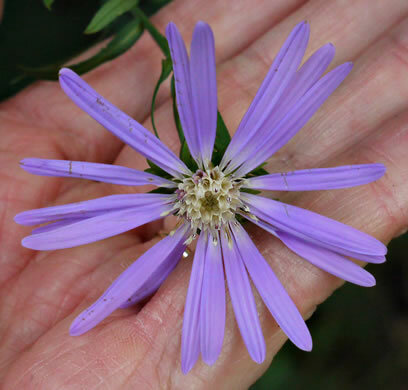 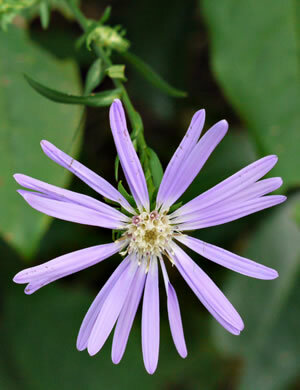 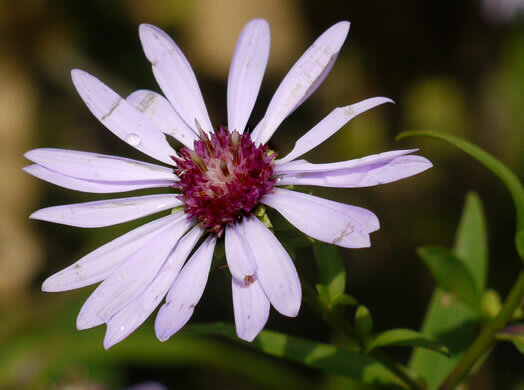 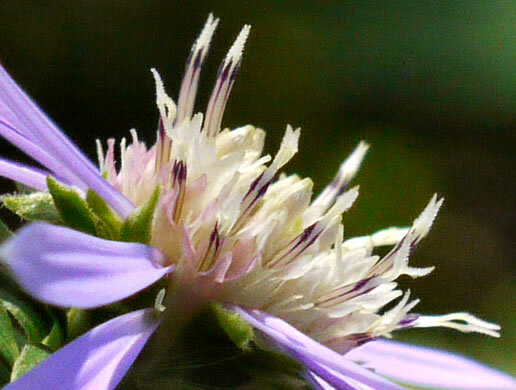 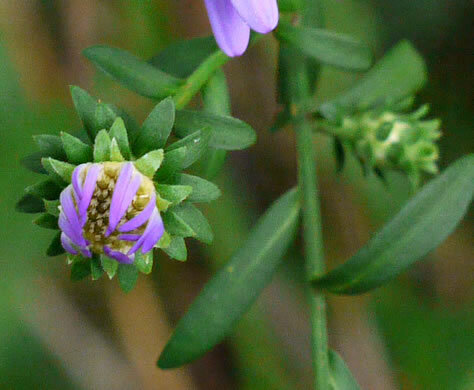 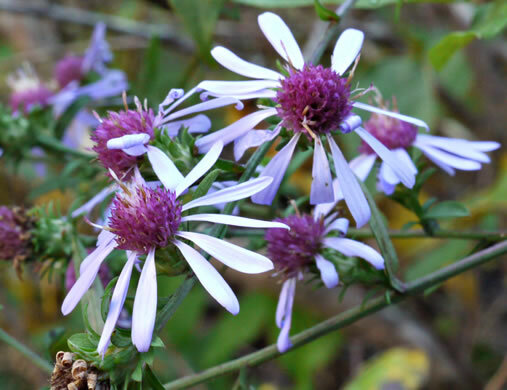 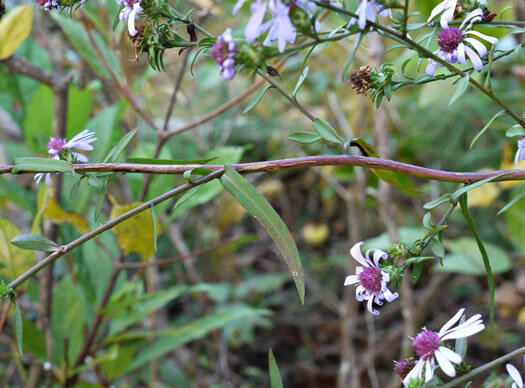 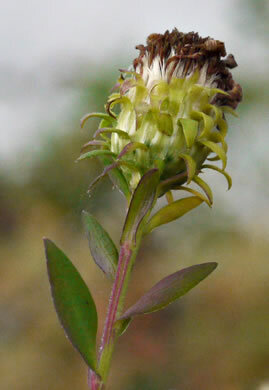 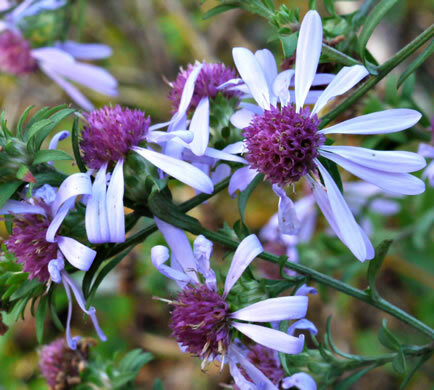 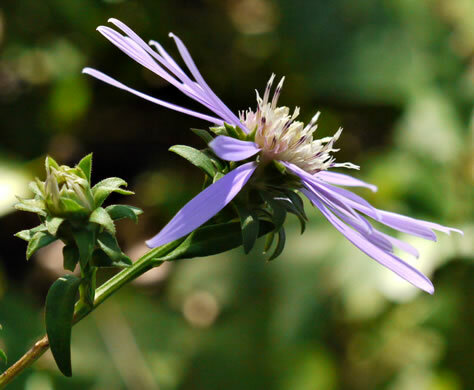 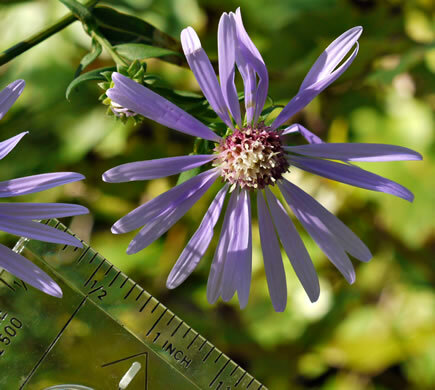 A Southern Appalachian Aster found in only 4 states, one of NC's most showy, per Wild Flowers of NC, 2nd edition. 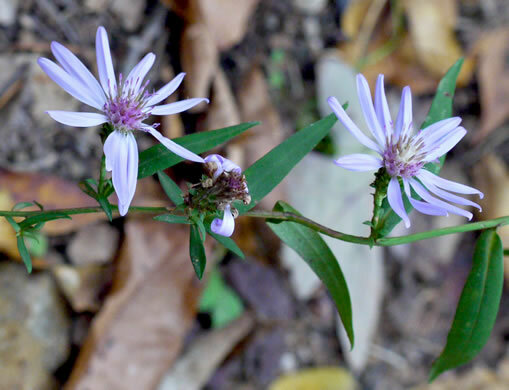 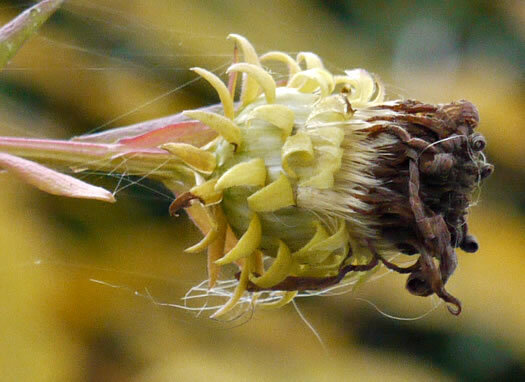 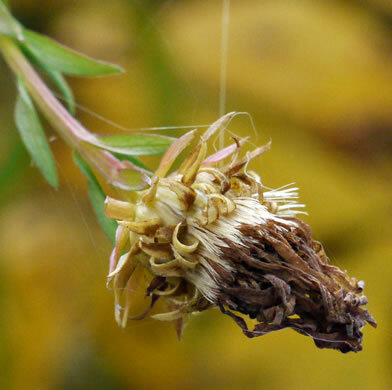 Phyllaries spreading to squarrose (outer foliaceous), per Flora of North America. 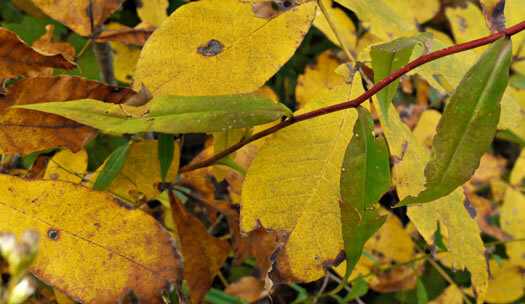 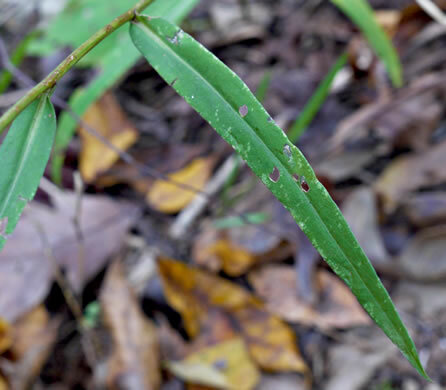 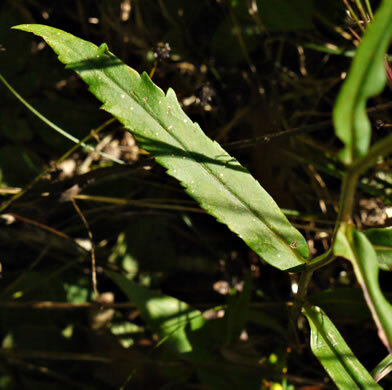 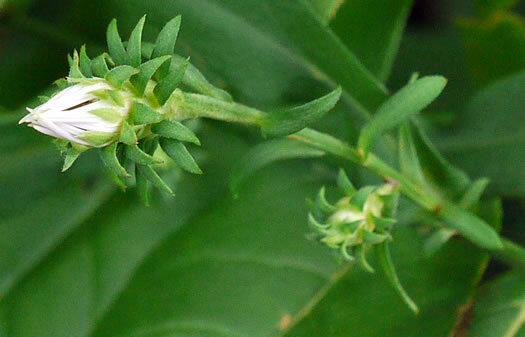 Stem leaves smooth & glabrous on both surfaces (or slightly pubescent beneath), per Vascular Flora of the Carolinas. 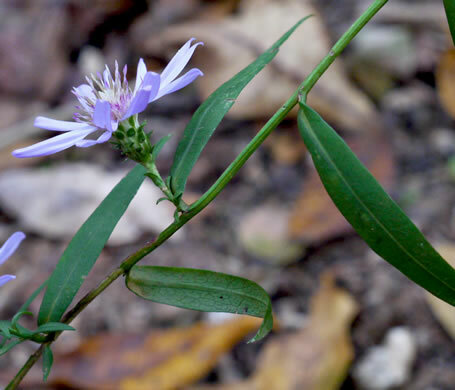 Bases cuneate, scarcely or not clasping, to slightly rounded and ± clasping, per Flora of North America.